Baba Yaga is a supernatural witch from Slavic folklore who appears as an ugly old woman. This recluse flies around in a mortar complete with pestle, and lives deep in the forest. Her home is typically described as a hut standing on chicken legs. Baba Yaga may help or hinder those that encounter her. The Catoblepas is a legendary creature from Ethiopia. Its stare and breath can turn people into stone or even kill them. The creature is said to have the body of a buffalo, heavy mane, scaly back and shaggy eyebrows. This creature's head is said to be so heavy that they can only look down. 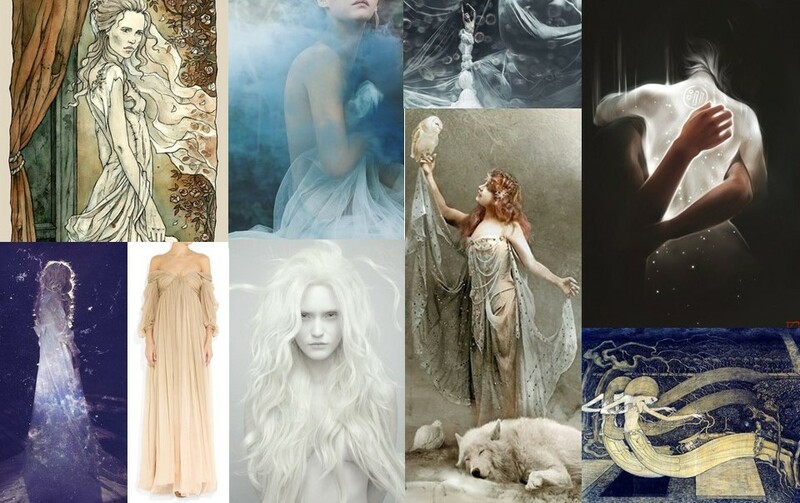 The Witte Wieven from Dutch mythology are spirits of herbalist wise women or elves. The healer's mythology dates back to the pre-Christian era. It was said the Witte Wieven had the talent for prophecy and looking into the future. Witte Wieven research Dutch mythology. Witte Wieven from Dutch mythology. The Lutin is a type of hobgoblin from French folklore and fairy tales. These mischievous creatures are the French version of gnomes and imps. The Selkie is a creature found in Irish, Scottish, and Icelandic folklore. Selkies live as seals but can shed their skin to become human. The tales of this creature often involve their sealskin being stolen to keep them in their human form. Without their sealskin they cannot return to the sea. 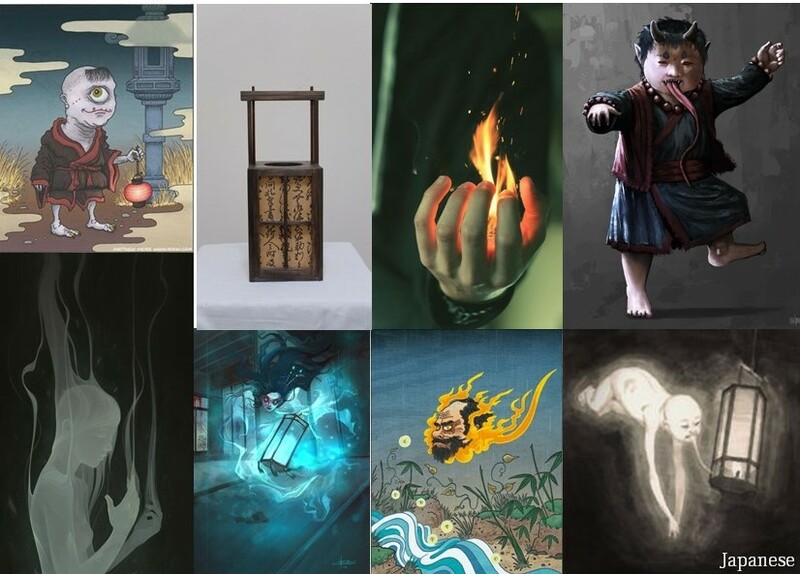 The Abura-Akago is a mythical creature in Japanese literature. 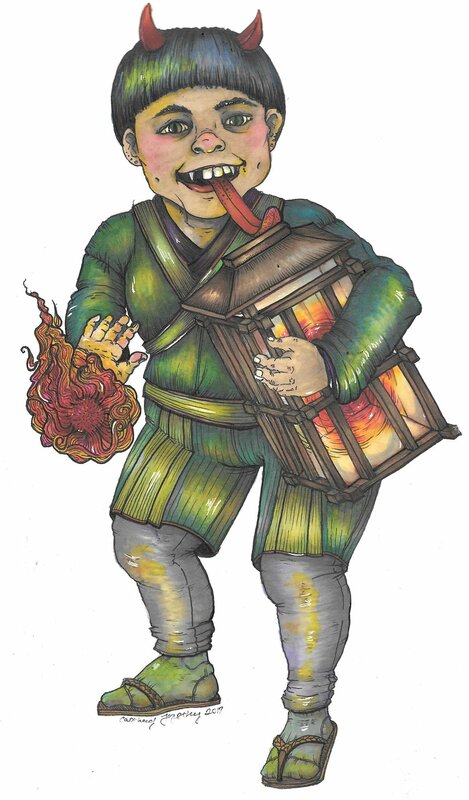 This mischievous toddler flies into people's houses as a ball of fire, shapeshifts into a baby and licks lanterns.